Why run to a Salon In Hyderabad when you can call the salon home? 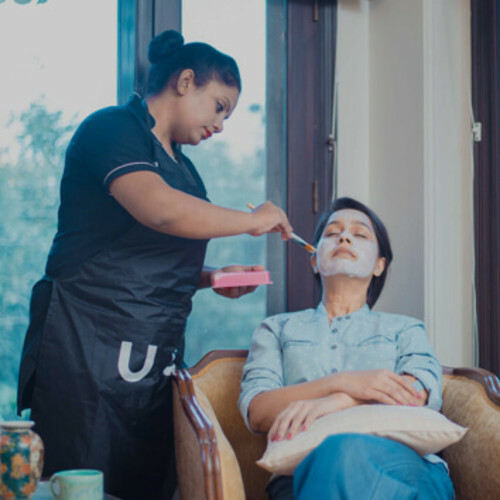 We provide you with parlour services like peel-off waxing, bubble pedicure, detan facial from our senior beauticians in the comfort of your home. Our 4.5 + rated beauty experts use branded, disposable and hygiene friendly products. Get beauticians with 5 years experience at home for the lowest price. Very good experience with santhosha. She had done her job in Very good way and she is awesome. I am not at all satistfied with the hair colour application and waxing. Waste of money. She came with her sister which was a surprise because I wasn't informed about 2 people coming. I felt uncomfortable due to security reasons. The wax was too hot, told her repeatedly to turn off the heating on wax . I got burnt in that process and I still have the scar. Excellent service... And friendly & comfortable. I guess she was not trained properly. She was polite ..and her behaviour was good but she was lacking waxing skills . as always very satisfied with the job.. So I got my waxing done by Kalyani last week. I was super impressed with the dedication and thoroughness. I didn't have to tell once how to go about anything or if there is any other way that she can do her job better. She was patient and diligent in her work and you would know that she loves her job once you see her in action. I would recommend her to anyone because I haven't seen anyone as good as her in a while which really makes me happy. Kudos Kalyani! Keep up the good work. She ie very good and professional. She is very good at waxing.. Had a nice service..
Threading was great. Cleanup was good..Coming to Waxing it was average. I had to suffer a burn during Waxing. Need to improve the Skill level. Excellent! Very professional .knows her job. Miracles Happen When You Use Rose Water for Dry Skin! Tell us your requirements and get custom quotes with profiles within 24 hours from upto 5 interested Salon at Home. A facial or hair spa is much convenient at home. You may remember how you had to go out from the comfort of your house to a salon or even wait for days for an appropriate time to get a simple hair spa treatment. However, you don’t even have to worry about getting out your home for salon services these days. There are expert cosmetologists offering professional salon services at homes everywhere. They make sure all the hair care and skin care essentials that you require are met properly. Saving time: If you were going to a salon, take into consideration that your entire day to get wasted. First, you would need to take out time to go to the salon at a suitable time. Second, you may have to wait in a queue for your beauty treatment. Salon services at home eliminate these problems and the cosmetologist would be there at your doorstep at a specified time that you have chosen. Feeling Comfortable: The atmosphere in a salon may be unusual and you may not like it. Furthermore, you would also need to leave immediately once the beauty treatment is finished. Because of these reasons, salons are not always comfortable. However, if you stay at home for the beauty treatment, then you can listen to some of your favourite tunes, or pick up a book or magazine. You are also able to sleep once the treatment is over. Relaxed Services: Most beauticians at hair salons are in a hurry as they are constantly getting customers who await their turns. Due to this distraction, there is a high possibility that your beauty treatment would be done quickly. On the contrary, when a cosmetologist arrives at your place he/she knows how long the treatment would take. You can easily get your beauty treatment done without any haste or distraction. 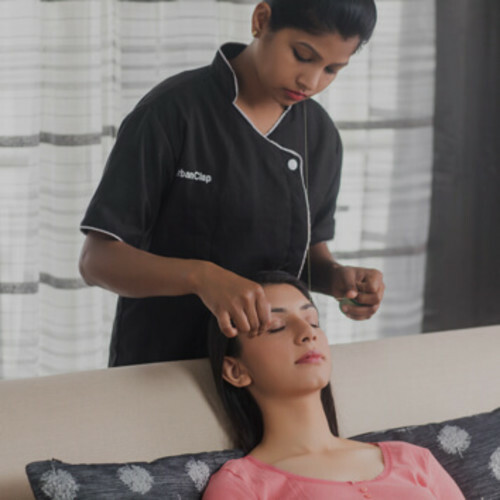 Group Treatments: By booking salon services at your homes, you and your close friends can all indulge in an exciting pamper session for any party. This can’t be done in a salon where everyone is placed in separate rooms and all of you would also have to wait for your turns. Glow Facial: It includes the use of products that help in letting the skin glow. Anti-Ageing Facial: Those who have mature skin with wrinkles and fine lines mainly benefit it. The products lessen the visibility of wrinkles and at the same time, provide nourishment to the skin. 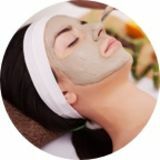 Brightening facial: It is suitable for those with dry skin. The products used to add a certain brightness to a dehydrated face. De-tan Facial: The products applied in this type of facial bring one’s tanned skin back to the actual colour by doing away the skin tan. Cleaning of the pores: One’s skin gets damaged mostly due to pollution and dust. The dirt can remain in the pores of the skin. So, exfoliation considerably removes the dirt and makes the skin appear clear. Facial massage: A face massage is an essential step in a facial treatment and even in a facial clean up. Circulation of blood is improved, tense muscles of the face are loosened and there is a considerable amount of lymphatic drainage helping in doing away with body toxins. These factors make one’s skin appear great. Specific Masks according to Skin Types: Facial mask application depends on what type of skin a person has. While people who have dry skin would need a moisturising facial mask, people with oily skin require a gel-based or water-based facial mask to get rid of excess oil present in the skin’s pores. Facials should be done frequently but most do not know how often. Specialists state people with younger skin should opt for a facial treatment just once in every month. Older people with mature skin should get a facial treatment once every two weeks. While it is important to take care of the face, it is equally vital to take care of the feet and hands. Dry skin can be easily detectable and appears dull, which only suggests that you do not care of your skin. Cut, File & Polish: In this type of manicure and pedicure, your nails are shortened and filed into any shape you like, and then nail paint is put on the fingernails. Classic Manicure and Pedicure: In a classic manicure, the nails are suitably tidied and the hand is massaged with exclusive hand massage lotions and creams. Then the fingernails are painted. Spa Manicure and Pedicure: In this type, the dead skin is removed along with the skin tan. A mask is put on the hands or feet after the massage is over. In the end, nail paint according to the client’s choice is applied. Detan manicure and pedicure: In this type, the products have the essential detanning ingredients. These ingredients make the tanned skin appear lighter. If there is tanning on the hands, only one session would be enough. 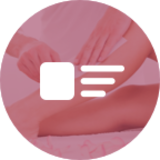 Soft Waxing: A very slim layer of soft wax laid out on the skin in the direction where hair grows. On top of the soft wax layer, a paper strip or cloth is spread and then it is pulled from the opposite direction. The wax between the cloth and skin pulls out the hair from its roots. Soft waxing is apt for areas that have thin hair density such as back, abdomen, legs, arms, and face. Soft waxing is further categorised into cold waxing and hot waxing. Hard Waxing or Peel-off Waxing: In this type of waxing, a thicker layer of wax is spread on the area in the hair-growth direction. After that the wax is pulled out from the opposing direction. This type of waxing does not require paper strips or cloths and is great for removing dense and rough hair from eyebrows, bikini area, and underarms. For this hair removal technique, a polyester or cotton thread is used. First, it is doubled and twisted and then it is moved over the areas containing hair. It is not like tweezing where just one strand of hair can be removed. In fact, threading gets rid of multiple strands of hair at once and it can deliver a preferred eyebrow shape. Facial hair can be easily removed with threading. Healing from within: The hair roots and follicles get effectively nourished with the deep hair conditioning treatments. Increased Hair Growth: Hair spa massages revives the scalp and lets to better hair growth. Improved Blood Supply: Since blood circulation is enhanced with a hair massage in a hair spa treatment, the hair becomes healthy. Nourishing Hair: Not only do the products used in a hair spa nourish the hair but also gives a nice shine to the hair. Longer lasting colours: People with coloured hair can benefit a lot from a hair spa treatment. A hair massage can make the colour look fresh even when the hair washed a few times and also lets the colour stay for a longer duration. A massage can moisturise the entire hair length and nourish the hair cuticle.